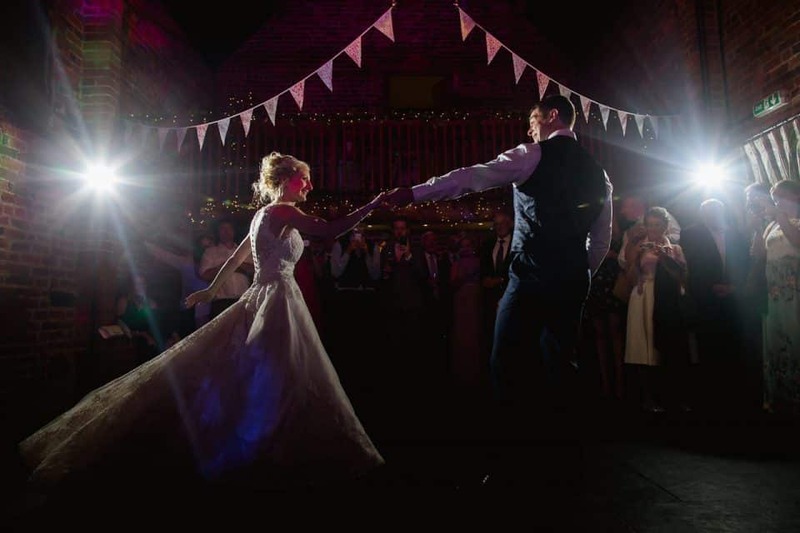 There is no better way to celebrate your big day than with a traditional ceilidh or barn dance. It is the way couples have celebrated their unions for years, and yours will be no exception. 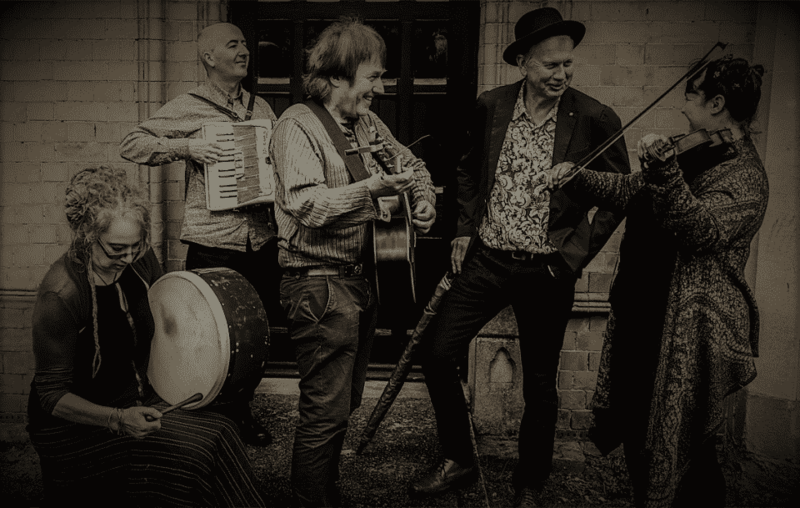 If you are looking for a wedding band for hire in Birmingham or surrounding regions, the Burdock Ceilidh Band is sure to make your special day an occasion that will live on in the memories of you and your guests for years to come. With our blend of professionalism, musical skills and experience, newlyweds can rest easy knowing that we will do everything to make their reception a huge success. The entertainment we can offer for your wedding draws from the Celtic traditions of the British Isles, and Europe’s rich culture of music, song, and dancing. The Burdock Ceilidh band has been recognised by the wedding industry over the years for it’s reliability, quality, professionalism and value for money; when you book the Burdocks, you know they will turn up on the day and deliver. In the Wedding Industry Awards, we were crowned regional winners for the ‘Best Entertainment Band 2015’. We are a verified Encore Artist and have been featured on BBC Breakfast, Hitched.co.uk among others. We have played in over 300 venues across Central England! We’ve also received a Gold Certificate of Excellence from Bridebook in their 2018 wedding awards. Of course, we also value the feedback we receive from our past clients: you can view our verified wedding reviews from the Happy Clients page. Hiring a traditional ceilidh band for your wedding entertainment should be an unmissable item on your wedding budget. Our live band adds extra emotion to your wedding by bringing a touch of human connection and interaction between your guests. We will start and end your wedding reception and party with pizzazz. This is what it’s really about: memories. Please take time to study the photos on our website and, from the amazing expressions on the faces of the dancers, you’ll understand how magical a ceilidh dance is, and it’s the memories that people take away with them. Often, more traditional entertainment is focussed on the band or entertainer. The Burdocks have a different approach: we put the focus on you and your guests. We bring everyone together in unbelievable storytelling, humour and, yes, a little bit of dancing that relies on everyone coming socially together to create a memorable experience. As well as conjuring up memories, we will work with your photographer/videographer to make sure you get exceptional footage that capture your family and friends like you’ve never seen before! We have made a shortlist of our favourite photographers. The Burdock Band offers a diverse range of instrumental world music that will keep your guests entertained throughout. Our sound has a raw Celtic edge that differentiates us from the typical English, Irish or Scottish sounding bands; much of the music is improvised spontaneously to create energy, excitement and anticipation. When you hire us for your wedding, you will not only get exceptional music, but also our highly experienced and charismatic caller, who will encourage your guests onto the dancefloor and gently guide them through the various ceilidh and barn dance moves. In no time, your guests will be expert dancers, mingling and laughing with delight. 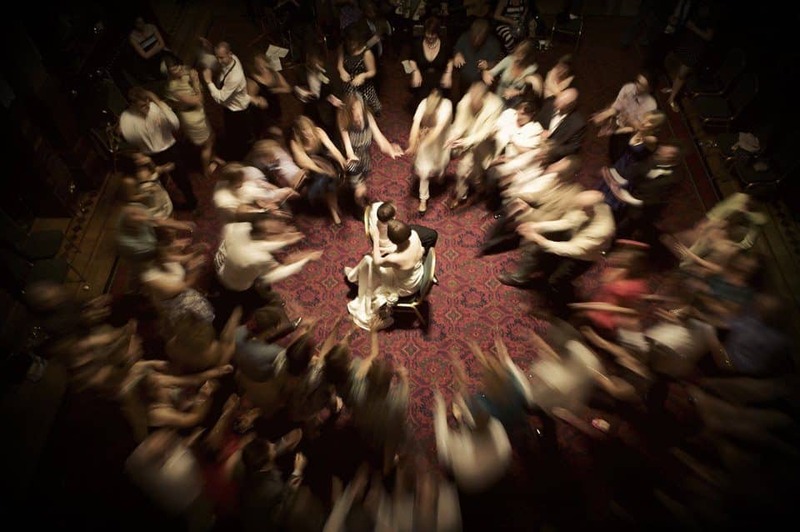 The best thing about hiring our trad ceilidh band for your wedding, is that we can be extremely flexible on the day. There is no fixed set list: as the performance unfolds, we will respond directly to the needs of your guests, choosing dances and music to suit; decades of experience enable us to read the crowd and quickly get a feel for what your guests will react to best. On a lovely evening, we’ve even been known to abandon the safety of shelter to dance, with wild abandon, on lawns & terraces, and even in fields and forests. To help you plan the details of your dance extravaganza, please also take a look at our set of handy guides to help you make the right decisions. On the day of your event, we normally arrive at least an hour prior to the performance to set up and soundcheck. Our caller will make themselves known to you, and will discuss the usual health & safety procedures with your venue team. After that, we’ll play traditional music in a contemporary and upbeat style, get you and your guests dancing, laughing and having fun until you’re ready to stop! For weddings, we recommend out Standard package, which includes a 4-piece band, the caller, and a full PA system. For a bigger sound – space allowing – go for our 5-piece Performance package. However, dance space should not be compromised, and couples often choose our Budget package to suit both their pockets and to easily accommodate the band in challenging room layouts. The 3-piece is normally a combination of accordion/fiddle (tune), accordion/guitar (harmony), and hand percussion (usually bodhran). In the 4-piece, you get all of the above (i.e. two melody lines), whereas the 5-piece may include a featured musician on hurdy-gurdy, pipes, or whistles. How Many Sets and For How Long? We are happy to tailor the set timings to suit your wedding schedule. For a wedding, we recommend two sets of 45-60 mins, with a 30 to 45-minute break between (the latter if you are providing a food offering). All timings are completely flexible to suit and fit in with your unique plans for the day. If the newlyweds would like to request a special song or tune to use for their first dance please indicate this on your booking form; we will do our best to accommodate your request. Of course, we are always happy to stream your favourite song through our PA system. We also have a special wedding dance prepared for the newlyweds. The couple are invited to join in, or if they like, let their guests dance for them as they sit in the centre of a circle of good wishes. If you would like to go ahead and book The Burdock Ceilidh Band for your wedding, or need some more information, please now contact us through the website enquiry form so that we can guarantee you a speedy reply. Make sure to check our availability calendar on our website to book the best dates.